Andrew Cuomo was born in New York. He is the 56th governor of New York and serves his post since 2011. Before he became governor, Cuomo worked as assistant secretary of the U.S. Department of Housing and Urban Development. Then he was secretary of HUD under President Clinton. In 2007 he became New York’s attorney general. Since becoming the governor of New York, Cuomo has become known for supporting LGBT rights, such as marriage equality. 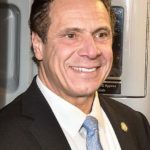 His efforts also include women’s rights and economic stimulus in the state of New York, including several other issues of paramount importance. "My father was against the death penalty, and that was hard in the Son of Sam summer when fear was driving the desire for the death penalty." "I’m in politics. I’m in government, so nothing surprises me." "Very few people go into politics to be reviled." "I’m going to change everything you believe about HUD." "Marriage equality changed life for people." "I was elected to come to an incredibly dysfunctional capital and make the government work better, and that’s what I’m doing." "I am fiscally prudent and socially progressive. I believe in protecting a woman’s right to choose. I believe in marriage equality." "I don’t know people who don’t say, boy the government is working better now." "If I weren’t doing the politics, I wouldn’t be doing my job." "People go into politics because they want the affirmation, and they want the applause."